Registration for the 2014 CHASA Family Retreat has closed. We’re so sad that you’re not going to the retreat and we wish we didn’t have to close registration. Our contract with the hotel requires that we provide them with attendee numbers, etc. in advance, so we set a deadline for registering for the retreat. We hope to see you at a future CHASA Family Retreat! Join over 200 fun and crazy kids, teens, and adults who have hemiplegia and their families for 4+ days of fun and relaxation. 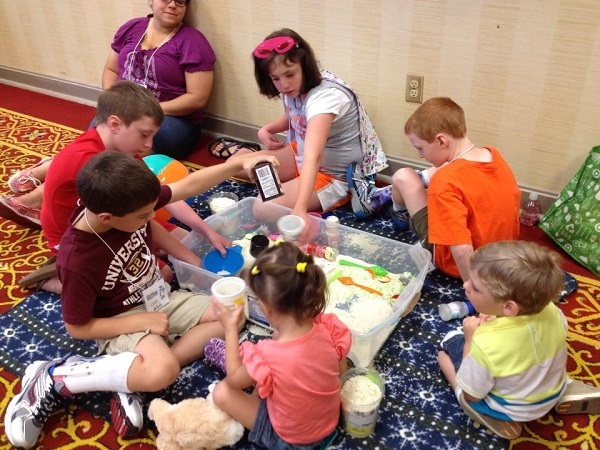 The Children’s Hemiplegia and Stroke Association (CHASA) hosts a family retreat where families who “get it” can socialize, share ideas, and have FUN! Research shows that knowing peers who are like you is very important for the social development of children, especially for children with disabilities and their siblings. Please read this entire page before joining the facebook group. Many of your questions will be answered here. Then, if this sounds like the place for you, please fill out the form. Fill out the 2014 CHASA Family Retreat Interest Form (closed). After you submit the form, you’ll be asked to friend Chasa HemiKids on Facebook and to join the 2014 CHASA Family Retreat Interest Facebook Group. Deadlines, Registration Information, Hotel Reservation Codes, Scholarship Applications, and more will be announced in the 2014 CHASA Family Retreat Interest Facebook Group. Look for the “pinned post” at the top of the group’s timeline. Who Can Attend the Retreat? Kids living with hemiplegia or hemiparesis (weakness or difficulty using one side of the body), their siblings, their parents, and sometimes aunts, uncles cousin or grandparent attend, making this truly a family event. We almost always have an equal number of kids in all age groups – from about 1 year old up to 30 years old! You can be assured that you and your child will find a buddy. If you’re an adult with hemiplegia, you’ll enjoy getting to know others who may have shared similar experiences. The CHASA Board is considering moving the retreat to every other year. This means there may not be a 2015 CHASA Retreat, so if you’re not sure about attending in 2014, we may not see you until 2016! You know you’ll miss us! 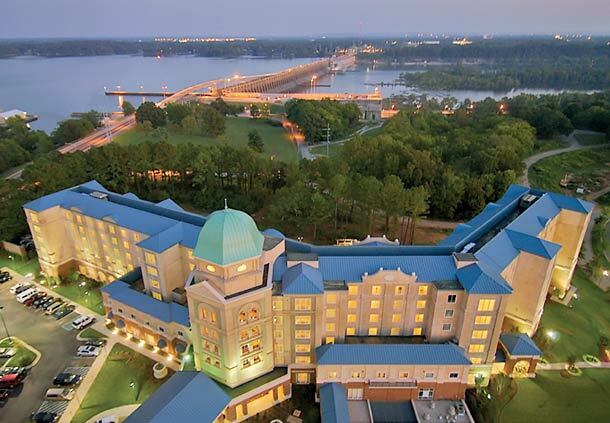 Marriott Shoals Hotel & Spa in Florence, AL. Group rate: $119 per night – UPDATE – Our room block for group rooms has sold out. The hotel has rooms available at the regular rate. Please check with hotel for rate. The group reservation code can be found in the 2014 CHASA in the Family Retreat Interest Group on Facebook. Additional hotel nights may be available at the group rate for Wednesday and Thursday night after the retreat. Some families arrive on Saturday and enjoy time together before the official retreat begins. However, the group rate is not available that Saturday. There are a limited number of hotel rooms available at this rate so you’ll want to book as early as possible. Join our Facebook Interest Group to find the registration form. This fee includes at least three group meals at the hotel with the possibility for a fourth meal or snacks (depending on final attendance numbers). The final agenda will provide the meal information. A limited number of scholarships are available – see below. Childcare is not available at the retreat. This is a Family Event and all activities will include parents and children. If childcare is needed, families are encouraged to bring another adult to the retreat to help with their childcare if needed. Please do not ask teens and young adults who are attending the retreat and not traveling with your family to babysit. They will hate to say “no” and they’ll miss out on activities for their age group. Scholarship Deadline: February 1, 2014. Join our Interest Group for more info. A limited number of scholarships will be available to help with cost of registration and hotel room. Scholarships are not available for travel expenses. Scholarship applications are available in the 2014 CHASA Family Retreat Facebook Interest Group – see next section.